The article digs out the insight, rationale and execution of the five series digital films as a part of #YouAreMyParleG by Parle Products produced by using consumer testimonials and inputs. The chai-ParleG combo has been delighting every tea-lover out there since ages. 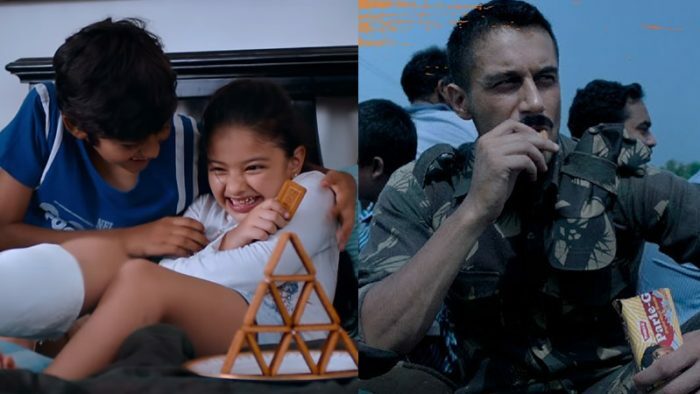 Veteran in the biscuit category, Parle Products this time went all out on digital through crowd-sourced content under the second leg of their campaign #YouAreMyParleG. The brand requested consumers to write in with descriptions of who in their life do they associate with Parle-G, i.e. someone who means much to them yet is someone they have not been able to give due place for. The five series digital films have been inspired by real life incidences shared by consumers. 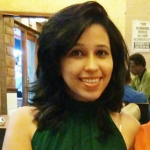 Parle have shortlisted these stories from several entries that they received when they launched the campaign back in May 2018. The consumers will be gratified with these films being made based on their testimonials. Two films out of the five have gone live on the occasion of Independence Day and Raksha Bandhan simultaneously. The IndependenceDay film is a tribute to the Indian armed forces featuring an emotional story of a soldier and his family. Parle Products has been bonding with consumers on an emotional level since years. While it has been omnipresent (much before Radhika Apte), consumers fail to recognize the parent brand or the array of products that Parle offers as a part of one family – a problem Parle has been attempting to fix with their latest campaigns. Each of the digital film will showcase the importance of meaningful relationships that form an integral part of everyone’s life but are seldom acknowledged. Parle – G forms a vital part of the narrative. The digital films are focused on target segment across age groups. Each person in the society perceives Parle G in their own unique way. Like human relationships, they are not as elementary as love, gratitude, friendship or devotion. They would be reciprocal, layered and multi-faceted in intensity. We may understand these emotions, but we are never fully conscious of them at all times. Also Read: #MakeEverydayBrighter: How IKEA planned their Indian entry! Commenting on the ideas behind the films, Vinod Kunj, Managing Partner, Thought Blurb said, “We focused on the point in a relationship where that realization dawns. This was the insight with which we initiated the communication. In each film you’ll see how an action, a few words, or an emotion triggers our moment of clarity. The subtext of the relationship becomes clear to the protagonist and they of longing or gratitude. India’s complex and unwavering connection to the brand is equated to this. When the protagonist tells someone that “You are my Parle G”, he speaks for India, and its relationship with the brand’’. The Youtube videos of the Raksha Bandhan films were released in 11 different languages with each garnering 2-4 million views on the platform. Parle G's tribute to the brother-sister special bonding on this Raksha Bandhan. The videos on Facebook have also gained traction with thousands of shares and reactions. However, as compared to the first phase of the campaign, it can be observed that the second phase was less talked about comparatively on social media. TV is a very impersonal medium wherein you advertise but you are not aware if the viewers are really responding to it in some way. On digital it’s a two way communication where you come to know what your consumer thinks. Shah pointed out that they calculate ROI on their digital efforts basis the kind of bonding with the products is created and if it gets people talking about it. Till last year Parle spent about 10% of it’s total marketing spends on digital but this year it was increased to 15-20%.